The welfare benefits system will soon be subject to a number of changes. Anyone worried about the impact that those changes will have on them, their families and their communities are invited to attend a public meeting being held by Parkhead Citizens Advice Bureau. 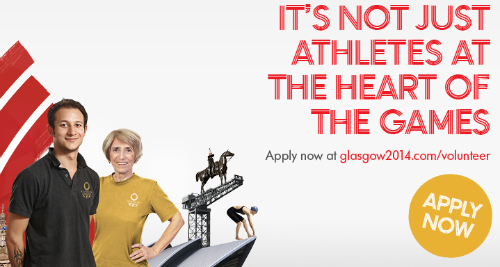 Glasgow 2014 – your city, your Games, your opportunity to be involved. It’s not just athletes at the heart of the Games. You could be too. Everyone in Glasgow is being encouraged to take part in the Games, and one great way to do so is to volunteer. The next ordinary meeting of Dennistoun Community Council will take place on Tuesday 8th January, 7pm in Whitehill School library. Update [8th January 2013]: Due to difficulties accessing the venue, this meeting has been rescheduled and will take place on Tuesday 15th January 2013. Updates from the Save Our Sorting Office campaign (Royal Mail closure of Cubie Street) are expected. Elected members will provide updates also. Full draft agenda available here. This is the third in a series of three updates on the closure of the Royal Mail Sorting Office at 130 Cubie Street, Glasgow, G40 2AF and subsequent relocation to Glasgow South East Delivery Office, 14 Fullarton Drive, Glasgow, G32 8FA. Part 1: ‘Introduction’ is here. Part 2: ‘Update’ is here. In recent weeks Dennistoun Community Council has been providing information and updates on the proposed closure of Cubie Street sorting office by Royal Mail, and the subsequent transfer of services to a site in Cambuslang.